Hello friends! As you can see I've been playing with my crazy stamp sets by Tim Holtz. 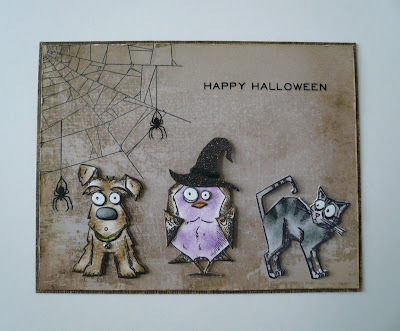 To create today's card I began by stamping the mini bird, cat and dog several times onto distress watercolor cardstock. Next I used the matching dies to cut out the images and their coordinating parts before coloring with distress ink. The witches hat was cut from a piece of black deco sheet that I attached to kraft cardstock topped off with some black paper string. 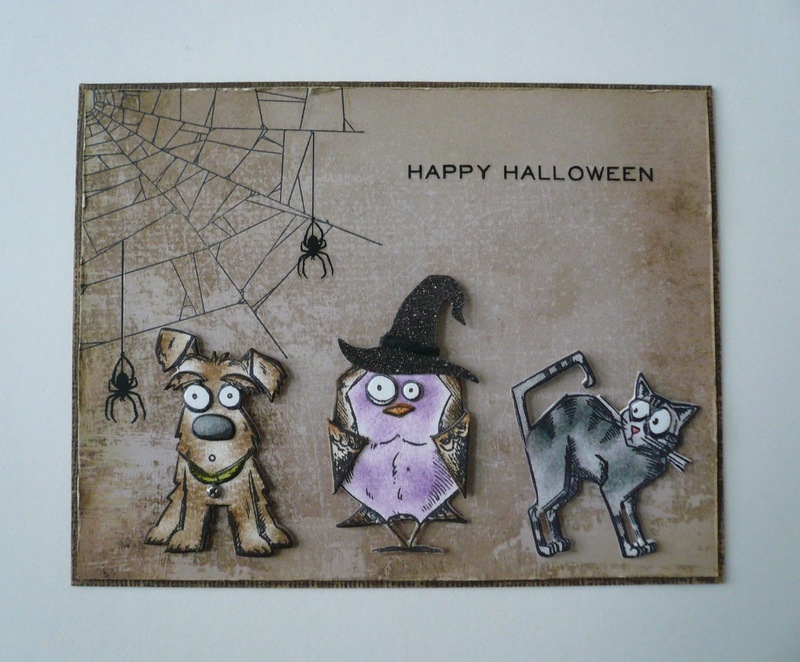 For the spooky background I used paper from the materialize paper stash, the webs & damask stamp set and gothic remnant rubs.